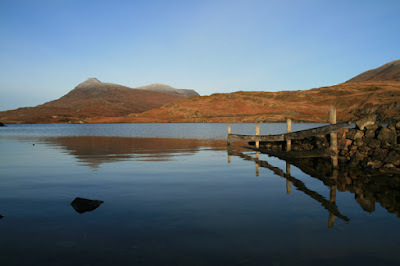 If only Scottish winters were like this!! An inpsiring bit of wintersoloing in Austria, from Beat Kammerlander, who, incidentally, is a world-class photographer as well as climber - some of his images appeared in Stone Play. 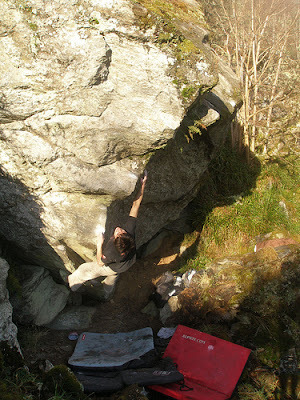 Brin Rock is full of mossy projects and another has fallen recently to Richie Betts. 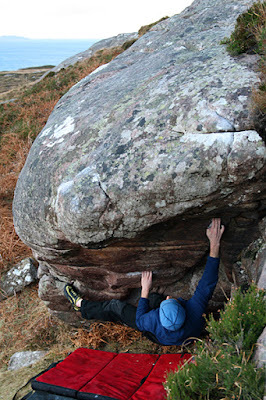 This bold and dynamic arete looks a bit of a headpointer, but Richie assures me the climbing is good, it may be a bit more reassuring in a dry spring rather than a damp green January! 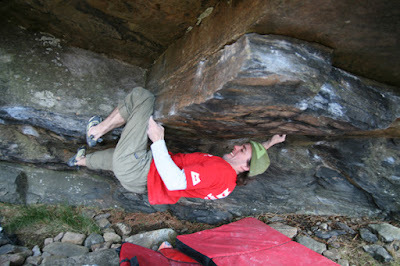 Richie called it 'The Scientist' and it goes at Font 7b. First of all Happy New Year to all who drop in to Stone Country. 2008 should be another busy year. 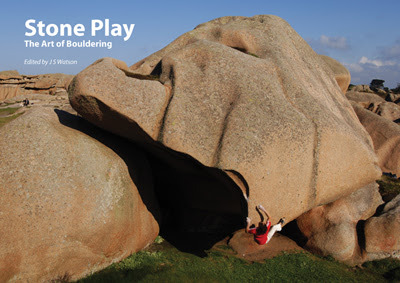 In March, we see the release of the new Bouldering in Scotland guide, accompanied by a new film from Pete Murray on the philosophy of bouldering - hopefully we'll have another launch party at Glasgow Cotswolds in the spring. We'll let you know the dates closer to the time. The rest of the year will be dedicated to new books and guides, one of which may be a radical new biking guide to Scotland. 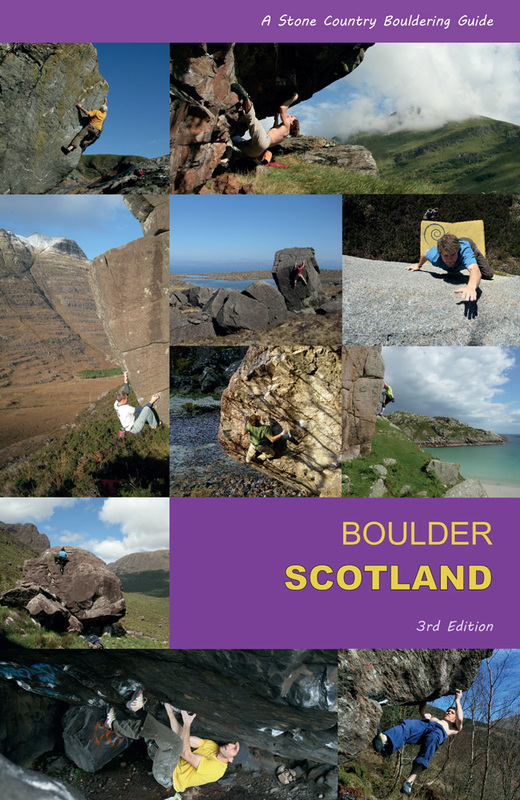 Also in the pipeline are complete bouldering guides to Scottish areas and a new series on Scottish mountain routes. 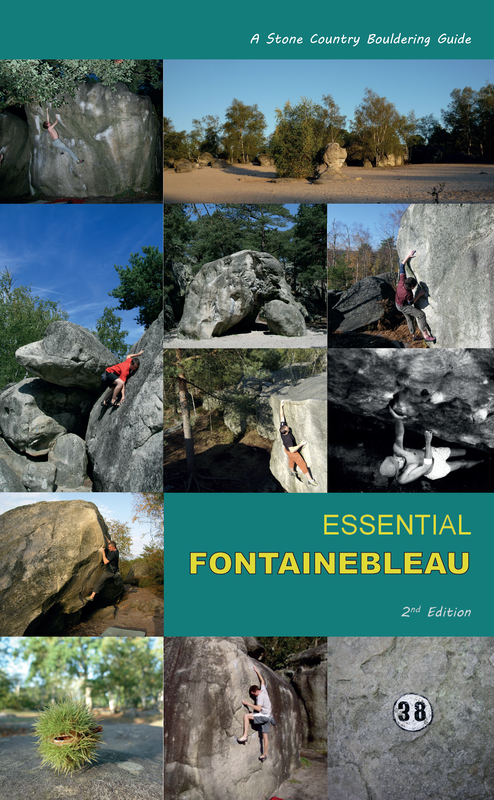 Oh, and maybe a European bouldering guide will appear... it all depends on how much research we get done! Congrats to Donald Slater for winning our Christmas comp and thanks to all who entered. A free copy of Stone Play is on its way to you, Donald! The book is still available from bookshops or discounted here at Amazon. Personally, I'll be looking to cover a lot of ground in Scotland this year, resurrecting my ice climbing in January and February with some new routing, busting a gut in the spring to maybe finally crack Font 8a, then disappearing into the mountains over the summer to get some air and bag some big routes, if we actually get a decent summer! So effectively, the same resolutions as every year... let's see what reality brings!